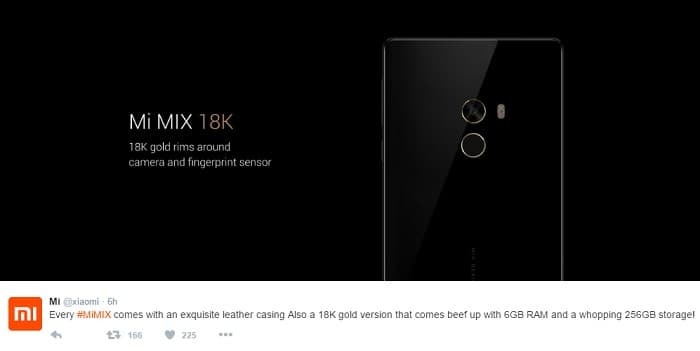 Mi MIX has a dimension of about 158.80 x 81.90 x 7.90 mm and weighs around 209 gm. It has a large screen space of about 6.4 inches long with resolution of 1080 x 2040 pixels. With large screen space and rectangular design, the device looks not only stunning but hosts a 91.3 percent screen to body ratio. The bezel-less design of the phone is one of its kind and has initiated a new beginning of large-screen devices. Powered by the latest Snapdragon 821 chipset, the device comes in two memory variants – 4GB RAM / 128 GB Internal Memory and a 6 GB RAM / 256 GB Internal Memory coupled with 18k gold rims around camera with absence of any expandable memory feature. With latest processors and high RAM, the device manages all the high-end applications with ease showing no lag and heating. Talking about the optics of the device, it has a 16 MP rear camera provided with flash that captures detailed pictures even under low light. A front facing 5 MP camera located at the bottom, allows capturing beautiful selfies and enables orienting the device at any position possible to capture quick images. Connectivity features are also pretty decent as it has almost all of them. It has Wi-Fi, GPS, Bluetooth, OTG, NFC, etc. and comes with dual GSM SIM slots that supports Nano-SIM with 3G/4G functionality. Sensors present include – accelerometer, ambient light sensor, gyroscope, barometer and magnetometer. The proximity sensor has been replaced by an ultrasound sensor and the earpiece by a piezoelectric speaker. A fingerprint sensor is also present which comes with the 6 GB / 256 GB (Internal Memory) variant. Last but not the least, a 4,400 mAh battery with quick charge 3.0 support is all that powers this device to carry on all the tasks and do all the activities. Though the device looks lucrative, it is sad to inform that neither of Mi Note 2 and Mi MIX will be available for sale in India. Although the company has stated marketing issues, there was no further clarification related to it. Indian market will be devoid of both of them but China will have full freedom to book any of them, especially Mi MIX starting November 5th. What are your views regarding Xiaomi’s move to not release new flagship devices in India? Comment your views below.